When you lay your eyes upon the editors letter in the April issue of American Vogue, you will soon discover that not only is it the 10th anniversary ‘shape issue’, but it is also the month Creative Director Grace Coddington turns 70. Grace, who turns 70 on April 14th, has been with Vogue for over 40 years creating insprirng photo shoots, taking readers into a world of fun and make believe. 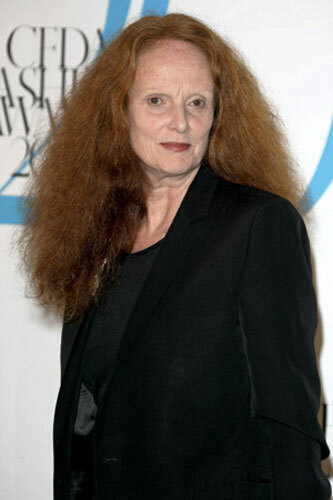 After being in a car accident at the age of 26, she first joined British Vogue under the Editor-in-Chief Beatrix Miller. She then moved to New York 19 years later to work for Calvin Klein. When Anna Wintour grabbed her powerful position at American Vogue, Grace called up and asked for a job. She worked behind the scenes for many many years. When The September Issue (movie about American Vogue) hit screens, her amazing creativity was revealed. So Ms. Coddignton, we thank you for your amazing photo shoots and fabulous self. Happy Birthday.